The impending demise of the Adélie penguins. The death of composer Henryk Górecki. The bombing of South Korea. The house arrest of Nobel Peace Prize winner Liu Xiaobo. Alarming increases in human trafficking and sexual slavery. Tsunami in Chili. Oil spills. The flood in Pakistan. 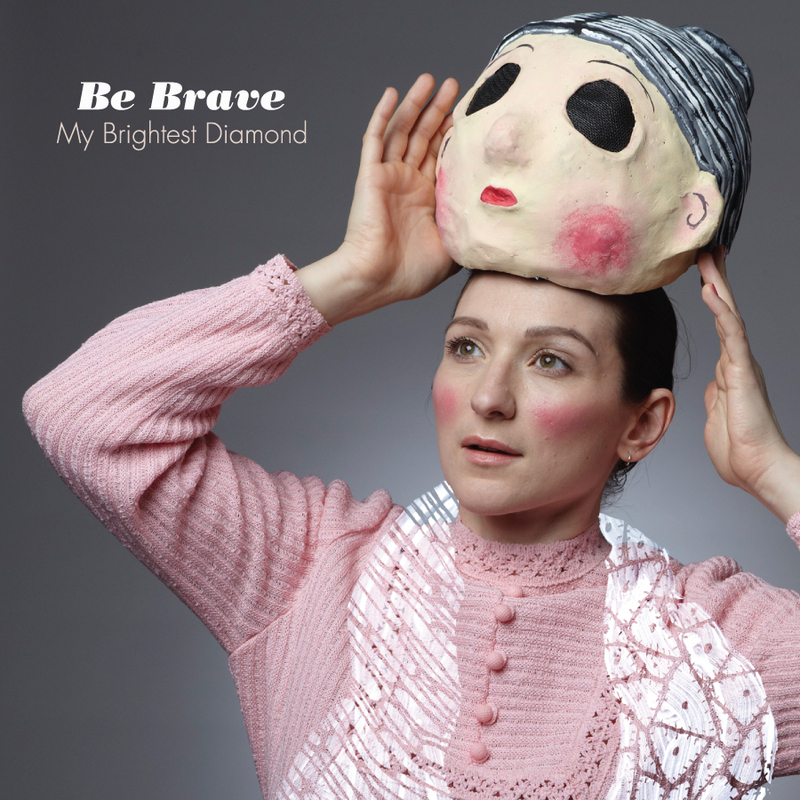 “Be Brave,” the first video from My Brightest Diamond’s third and forthcoming album All Things Will Unwind, is frontwoman Shara Worden’s response to a world unwinding. It is her rain dance, her attempt to influence and change things seemingly outside her control. But it’s also an inner dialogue, Shara to Shara, a blistering plea/lecture/pep talk to get her gameface on and do something tangible and real about injustice – including singing and dancing. Prefuse 73 provides a remix of “Be Brave” that expands the song’s foundation into an echoed chamber, like a parade through labyrinthian caves. The third track, an alternate version performed with Son Lux, is a reduced take; with the drums less pronounced, the song peeks around the corners and sometimes into mirrors. Like the entirety of All Things Will Unwind, “Be Brave” features celebrated New York City chamber ensemble yMusic. DM Stith provides backing vocals. Jessica Dessner dances in the video. Pat Dillett, producer and engineer for David Bryne, Laurie Anderson, They Might be Giants, Mary J. Blige, The National, and many others, engineered and mixed the song in New York City.